How grant recipient, Niki Lopez and her upcoming exhibit "What's your elephant" will continue to touch trauma survivors and speak up for being silent. Growing up, artist Niki Lopez believed fitting in was something appealing. At the same time, she didn’t understand why she stood out or how to move forward with her experience surviving abuse and now essentially becoming a modern advocate for speaking out. For a while, the idea of being the odd-ball and being different from other kids was something that Lopez felt uncomfortable with. Yet, in recognizing this feeling of alienation, Lopez stood up for herself and the dozens of others who have trauma to bear. 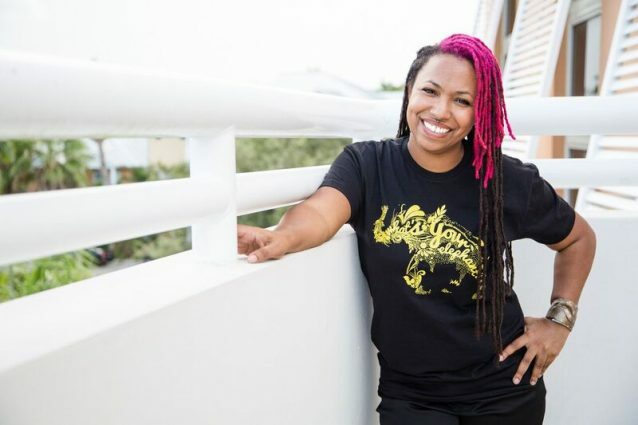 Her valor and spirit are seen now in her artworks, workshops and with her upcoming exhibit, What’s Your Elephant (WYE), opening August 18th at the 1310 Gallery in Fort Lauderdale. 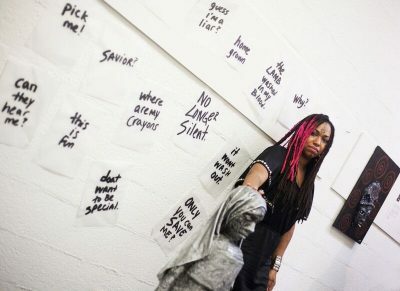 This year will mark the fifth anniversary of the taboo touching, multi-faceted exhibit for artists to display their ‘elephant in the room’ and will be a safe place to contribute to the conversation of abuse, survivors and the beauty of not being silent. “Putting my foot forward, taking responsibility for how important this project is has given me more confidence in what I’m doing. 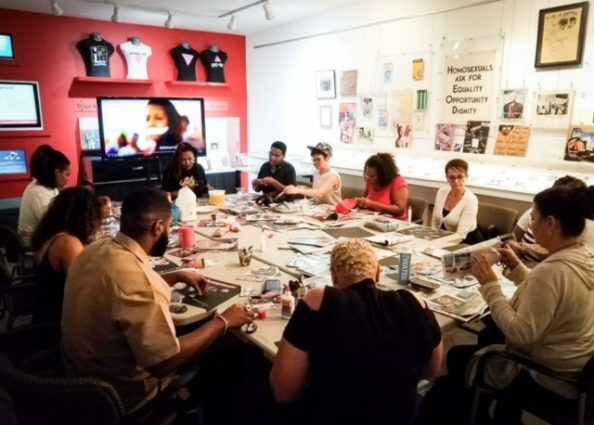 I’ve come a long way and want to have the largest reach possible” Said Lopez, who has recently been incorporating art from her WYE workshop attendees into aspects of the program. The participating artists of WYE has doubled, the number of survivors speaking out continues to grow and by giving people access to be a part of the conversation Lopez feels motivated to continue her movement. “These are artworks not normally displayed because they might be too heavy. Meanwhile, I am pushing interaction of the viewer- using your trauma to help empower people and develop relationships” Lopez said. For the last 10 years, Lopez has been practicing art in South Florida and at first, she struggled with the notion that, as an artist, one must have a single ‘style’ or specific method to their expression. “I don’t and it’s okay to not have one”. Lopez says, “I kept asking ‘what can I do to be that one thing that everyone says I need to find?’ then I looked inside and said, ‘I already have that’, I don’t need to develop this or create that, it takes being courageous”. Historically, it has only been Niki responsible for curating, marketing and installing her exhibit: This year, as part of the Cultural Division’s Creative Investment Program and being one of seven recipients to receive additional support provided by the following Funds at the Community Foundation of Broward: Fonda and H. Wayne Huizenga Jr. Family Trust Fund, Gary J. Scotto Fund and Mary and Alex Mackenzie Community Impact Fund, Lopez was able to bring on a new team to help take her project to the next level. This was the first year, Lopez notes, that she could gather volunteers and a crew to help cover the logistics she once handled on her own. Creating marketing capital, streamlining set-up processes and upgrading the production efforts were made possible with support provided by the Community Foundation. “Stand Up Speak Out” by WYE Artist Mary Catello. The overwhelming response to Lopez’s story, her art and the individual “elephants” of people who feel empowered enough to speak out, are reasons she feels a responsibility to keep going. “When people see the work, I’m honored they feel they can come to me to express something”. Lopez notes, “This is activism. When so many don’t get the opportunity or space to share, it helps to see someone starting a movement. I have to recognize that this is a reason I’m here”. This project and its awareness have grown immensely and Lopez hopes to be able to turn What’s Your Elephant into a program that she can take to other cities. Lopez has taken her works to various festivals and shows over the years; continues to curate art exhibits around the community; and in the future, looks to create larger interactive pieces and hold solo exhibitions. She said, “There are so many parts to your past, the growth is in saying I am the elephant and taking ownership of that”. 2018 WYE pre-exhibit workshop. Photo courtesy of Niki Lopez.